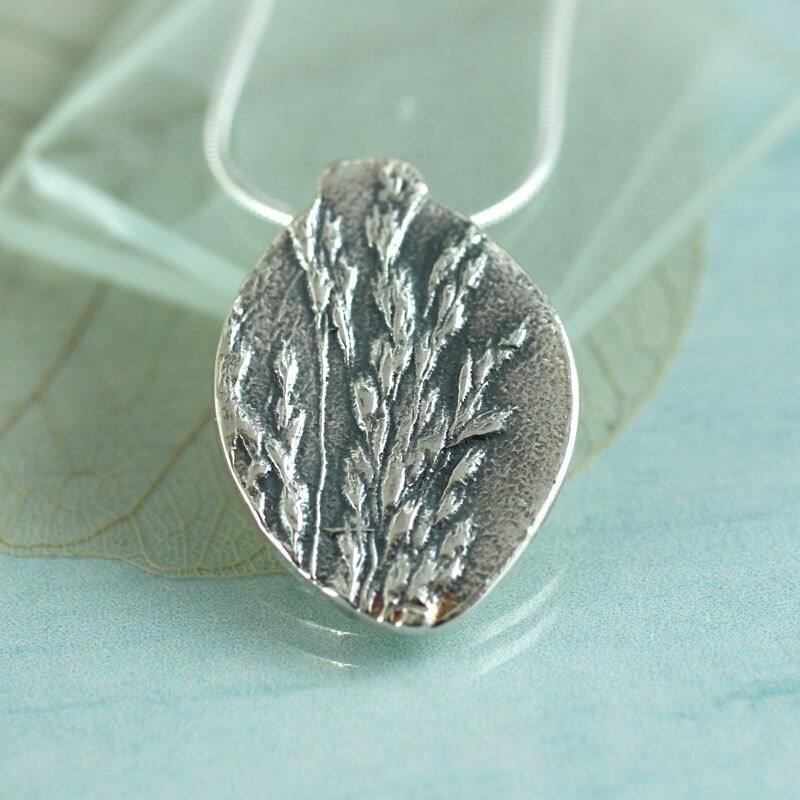 I made a mould from grass I picked on my ramblings to make this a unique and organic replica of nature's beauty. 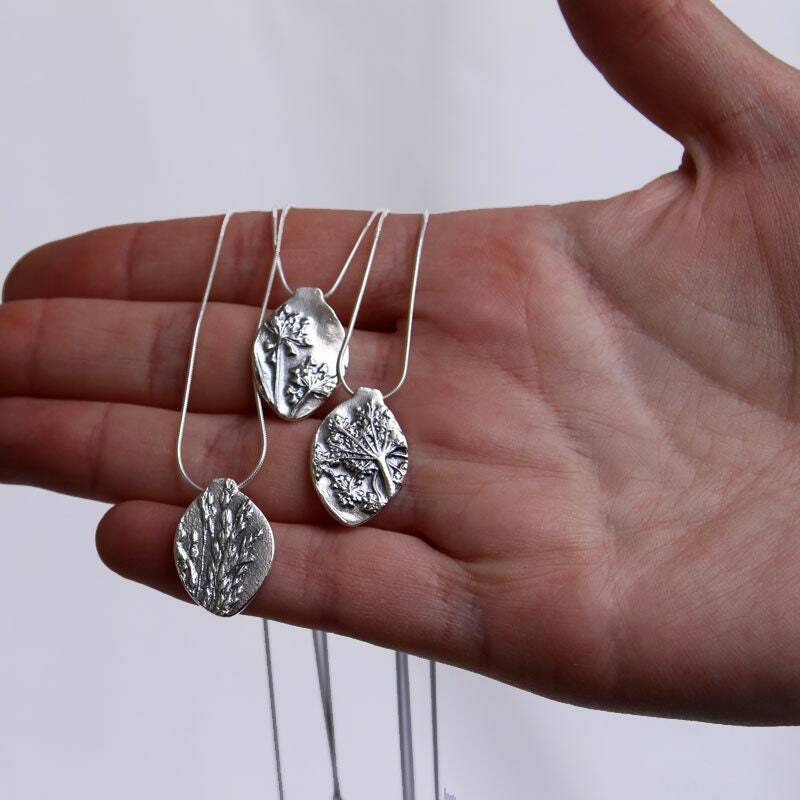 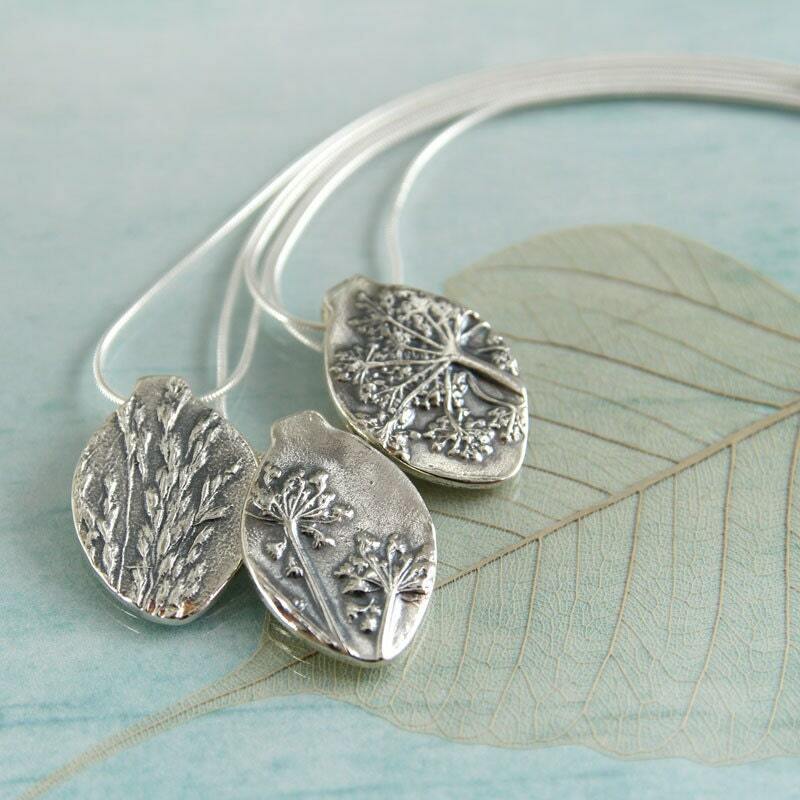 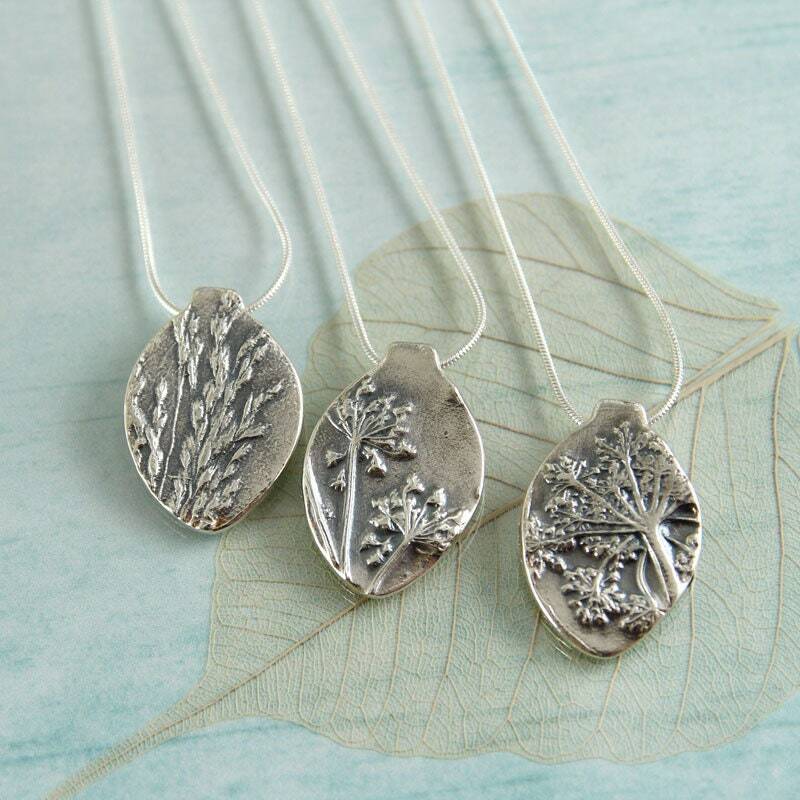 Pressed flowers preserved in silver. 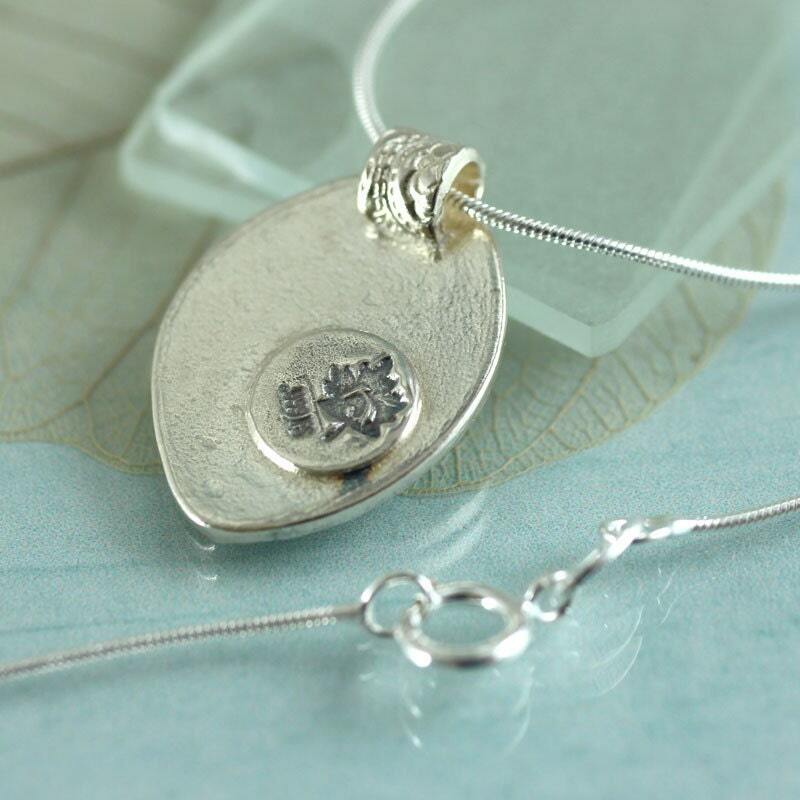 The pendant hangs from a hidden bail. 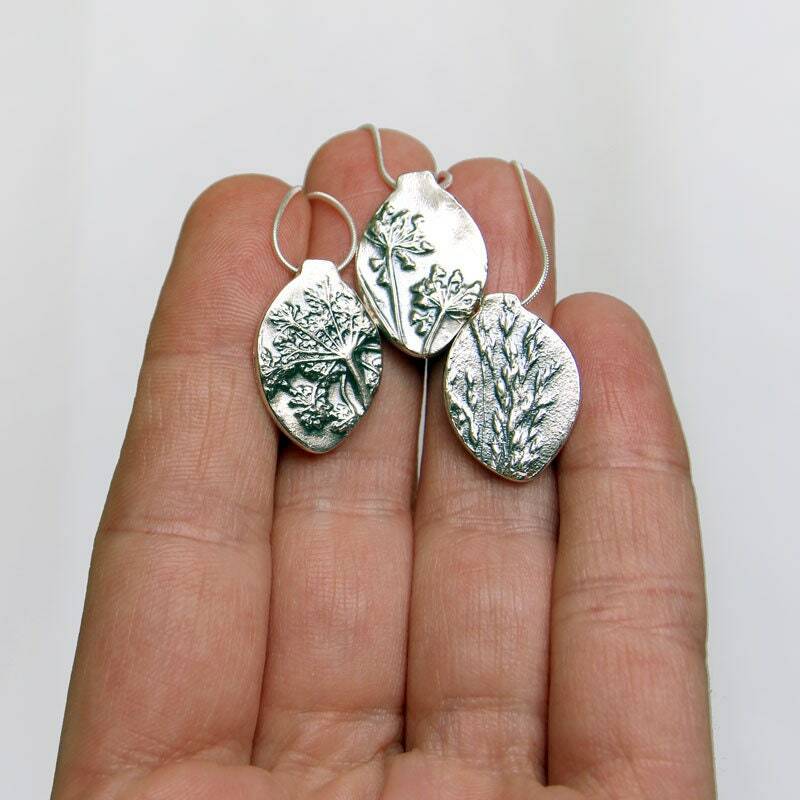 The back bears my little leaf logo and a fine silver stamp. 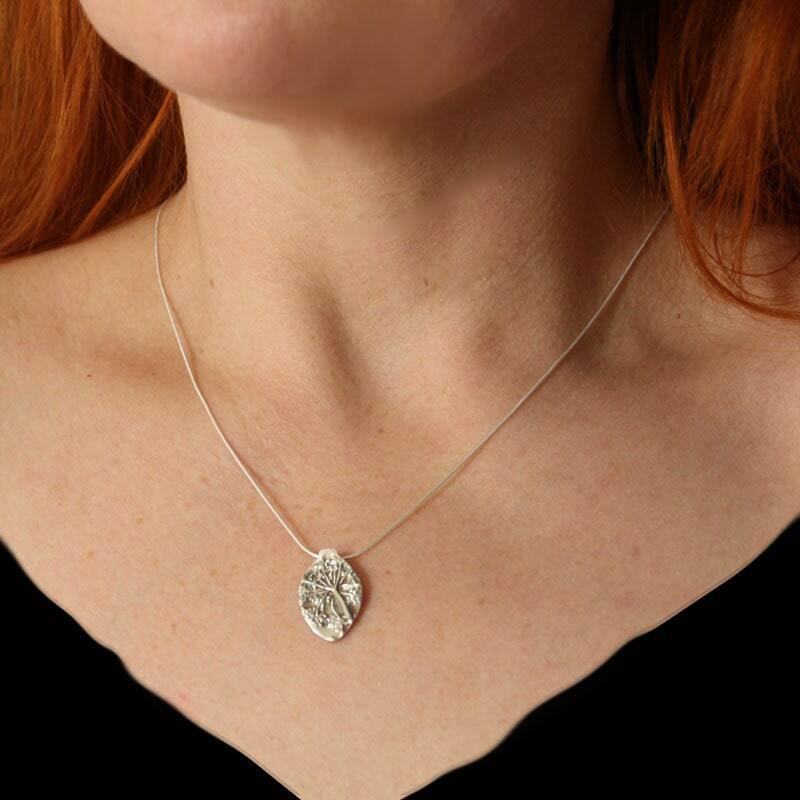 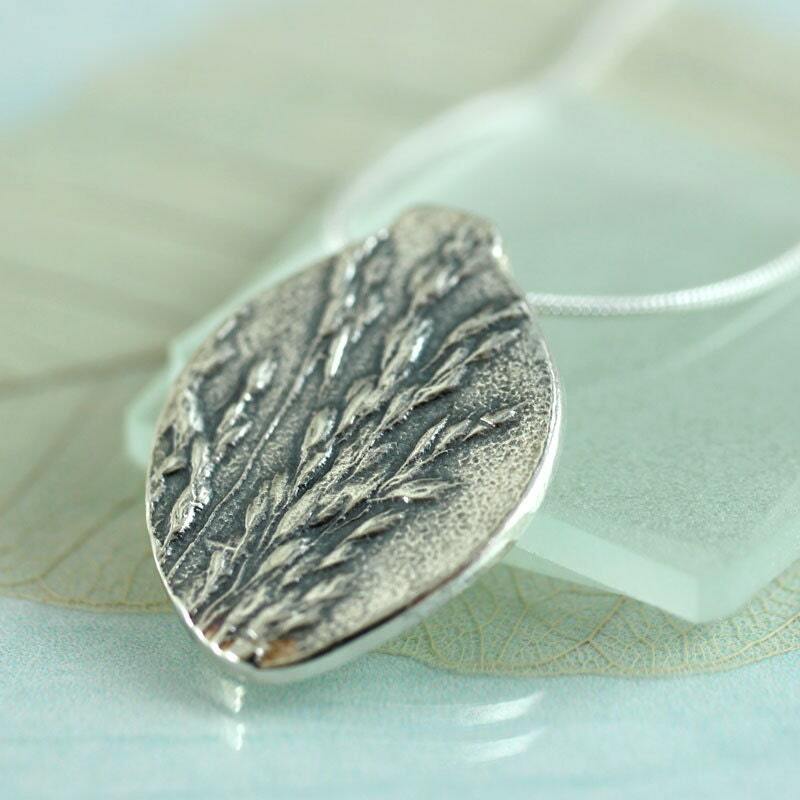 The pendant is quite small and dainty and comes with a slender snake chain 40 cm long - that's 16".